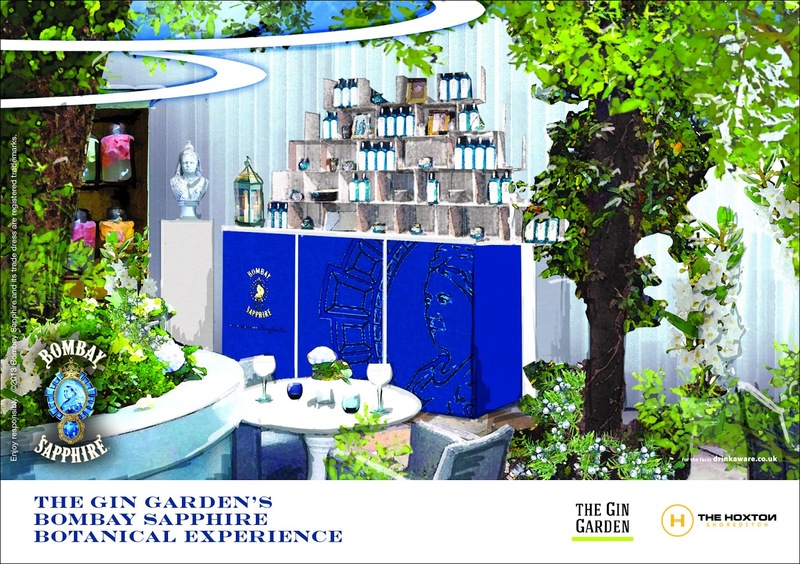 Big friends of this site The Gin Garden are holding a new one week pop-up at The Hoxton Hotel in Great Eastern Street, in conjunction with Bombay Sapphire. There are three separate events during the week: Learn to make the ultimate G&T, leearn to make fragrances with gin infusions, and an ultimate G&T menu, with different G&Ts to choose from, with canapes. Full details and dates below. 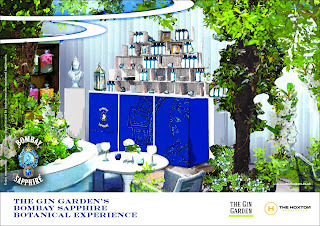 "The Gin Garden's Bombay Sapphire Botanical Experience will take guests on an imaginative journey of discovery – learning about the intricacies of gin and the opportunity to touch, smell and taste the distinctive botanical ingredients that have been vapour infused to create the unparalleled taste of Bombay Sapphire. Tickets for the three separate experiences will be released in stages so everyone has a chance to purchase tickets. 5-6:30pm, Saturday 25th - Friday 31 May. 7-8.30pm, Saturday 25th - Friday 31 May. A goodie bag containing a 50ml bottle of gin and Bombay Sapphire glass. 1-2:30pm, Saturday 25 May - Sunday 26 May. 3-4:30pm, Saturday 25 May - Friday 31 May. Hosted by British perfumer Sarah McCartney of 4160 Tuesdays, guests can create their own unique scents. Guests will be able to customise their perfumes by blending a range of fragrance materials also found in the botanicals used to make gin - from invigorating juniper berries and refreshing lemon peel to calming rose and extravagantly costly angelica. Guests will take away their own 10ml bottle of tailor made perfume at the end of the session. 9-11pm, Friday 24 May–Friday 31 May. Guests can reserve tables and enjoy three G&T cocktails from the ten imaginative infused G&T cocktail menu with a selection of botanical inspired canapes. Selection of botanical inspired canapes"